Unilateral multicystic dysplastic kidney (MCDK) is one of the most common abnormality and the most frequent cause of palpable abdominal mass in infants. The horseshoe kidney (HSK) is the anatomical fusion of upper or lower poles of the kidneys. HSK with MCDK is a very rare presentation. USG, CT, DMSA and DTPA or MAG3 scintigraphies can be used for the diagnosis of the disease. In literature search, we could not find HSK case with MCDK that is evaluated with USG, CT, DMSA and DTPA scintigraphies. We here report the usefullness of these imaging modalities in an 8-year-old boy that has HSK and MCDK of the left-sided component with minimal functioning parenchyma. The horseshoe kidney (HSK) is the anatomical fusion of upper or lower poles of the kidneys at a midline or paramedian isthmus by fibrous or renal parenchymal tissue 1. Genitourinary tract abnormalities are among the most common birth defects as high as one in 10 births and HSK is seen in one in 400 live births 2. Unilateral multicystic dysplastic kidney (MCDK) is one of the commonest abnormalities detected by ante-natal USG and the most frequent cause of palpable abdominal mass in infants 3. In our PubMed search, we could not find HSK case with MCDK that was evaluated USG, CT, DMSA and DTPA scintigraphy. Herein, we present a case of HSK with MCDK that is evaluated by all these imaging modalities. The patient, an 8-year-old boy, had admitted to pediatric surgery clinic with a complaint of abdominal pain. His urea level was 23.01 mg/dl and creatine level was 0.5 mg/dl within normal limits. Abdominal USG revealed left kidney size as 87x36 mm with multiple cysts which is the biggest was 41x34 mm. The parenchymal thickness was very low and HSK was suspected. Contrast-enhanced abdominal CT revealed HSK with multicystic dysplastic left kidney without any functional parenchyma (Figure 1). Click Here to Zoom Figure 1: Inferior pole of the right kidney extends through the left side and the cyts are seen (arrow) in the left kidney. The patient was referred to our nuclear medicine clinic. Informed consent forms for DMSA and DTPA scintigraphies for the evaluation of the functions of the left kidney were taken. In DTPA scintigraphy, left kidney activity accumulation was minimal and very late that is barely distinguished from the background activity. Perfusion, concentration and excretion functions of the right kidney were within the normal limits (Figure 2). Click Here to Zoom Figure 2: Concentration and excretion phase of the kidney in DTPA scintigraphy. Left kidney can not be seen in regular image (a), barely seen only in high contrast form with very late and minimal activity accumulation (arrow) in a small cortical region (b). On another day, DMSA scintigraphy was taken and activity uptake was minimal in the middle cortical region with multiple defective areas in left kidney. The relative uptake of the left kidney was 2%. The parenchymal function of the right kidney was normal. The inferior pole of the right kidney extends to the left side with the suspicious of HSK (Figure 3). Click Here to Zoom Figure 3: Left kidney can be barely seen in left posterior image, but not in posterior regular image (a), minimal activity accumulation in a small cortical region (arrow) in high contrast posterior image (b). Since there was no megaureter, VCUG was not performed. Dimension of the cysts were regressed gradually and there was not hypertension during the follow up of the patient. MCDK was seen in 2.9% of HSK with a rare combina-tion in a study by Je et al. 4. In a review in 1994, only 18 cases were recorded 5. It is always unilateral in live patients as bilateral cases are incompatible with life 6. Renal complications are common with HSK such as pelvicaliectasis, vesicoureteral reflux, duplex kidney, renal stones, MCDK, size discrepancy between kidneys, simple renal cysts, ureteropelvic junction obstruction, ureteral stones, acute pyelonephritis, renal parenchymal disease, ureterovesical junction obstruction, renal trauma and renal tumor 4. The treatment is the surgical resection of the affected kidney 1. In case of small MCDK in an HSK may not be operated because excision involves the risks of damage to the vessels during mobilization of the isthmus and devascularization of the normal segment 7. The presence of MCDK in an HSK may be confirmed via palpable mass close to the midline, rotation or fusion abnormality in the lower poles in USG, polar fusion in DMSA, the degree of involvement of the isthmus and contralateral kidney in CT or MRI 8. Functional imaging of kidneys with radionuclides is used in the diagnosis and the follow up of the kidney diseases. 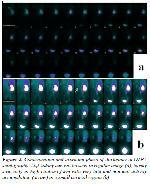 Tc-99m DMSA and Tc-99m DTPA or MAG3 scintigraphies are the most common used nuclear medicine imaging methods. DTPA scintigraphy shows the perfusion, concentration and excretion functions of the kidney. DMSA scintigraphy may show the functioning parenchyma even in the very low functioning kidney in chronic renal disease. In our case, there was not a palpable mass in the abdomen. DMSA and DTPA scintigraphies did not show the HSK exactly because the MCDK is nonfunctional in the inferior pole that cannot show the fusion in the inferior pole. Extension of the right kidney to the left side gave warning of HSK. We think that CT is the best imaging modality for definitive diagnosis of both HSK and MCDK modality as our opinion in this rare combination. But in case of suspicious functioning parenchyma, DMSA scintigraphy is essential to prove it. 1) Whittam BM, Calaway A, Szymanski KM, et al. Ultrasound diagnosis of multicystic dysplastic kidney: is a confirmatory nuclear medicine scan necessary? J Pediatr Urol 2014; 10: 1059-62. 2) Weizer AZ, Silverstein AD, Auge BK, et al. Determining the incidence of horseshoe kidney from radiographic data at a single institution. J Urol 2003; 170: 1722-6. 3) Mashat SD, El-Desoky SM, Abdulaziz Kari J. Outcome of multicystic dysplastic kidneys in children. Iran J Pediatr 2015; 25: e2991. 4) Je BK, Kim HK, Horn PS. Incidence and spectrum of renal complications and extrarenal diseases and syndromes in 380 children and young adults with horseshoe kidney. AJR Am J Roentgenol 2015; 205: 1306-14. 5) Borer JG, Glassberg KI, Kassner EG, Schulsinger DA, Mooppan UM. Unilateral multicystic dysplasia in 1 component of a horseshoe kidney: case reports and review of the literature. J Urol 1994; 152: 1568-71. 6) Amah C, Ezomike U, Obasi A, Obianyo N. Unilateral multicystic dysplasia in a horseshoe kidney - a case report. J West Afr Coll Surg 2012; 2: 136-42. 7) Sripathi V. Multicystic dysplasia in one-half of a horseshoe kidney with megaureter and lower ure-teric atresia. Pediatr Surg Int 2002; 18: 735-6. 8) Panda SS, Singh A, Bajpai M, Jana M. Horseshoe kidney with multicystic dysplastic left moiety. J Indian Assoc Pediatr Surg 2014; 19: 118-9.